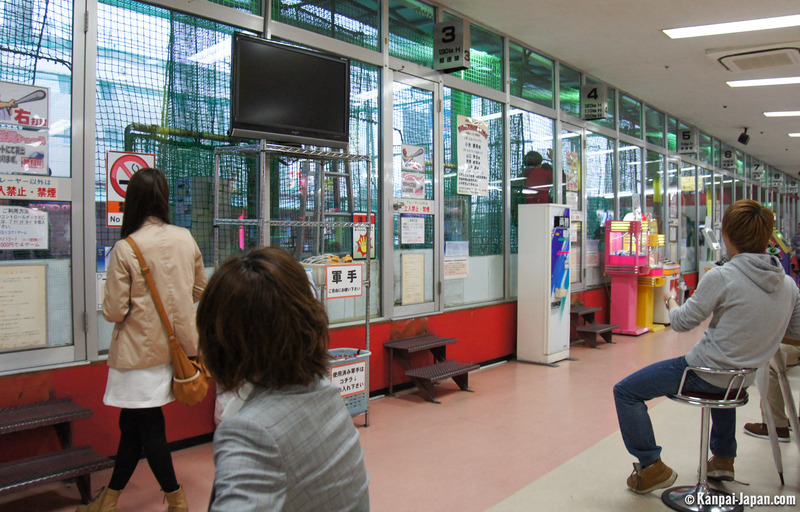 Contrary to popular belief, the most popular sport in Japan is not Sumo or another martial art. Japanese people may also be particularly fond of skating or soccer, but the one sport which wins the most votes is probably baseball. Imported from the United States in late 19th century, the discipline is called 野球 yakyû in Japanese. 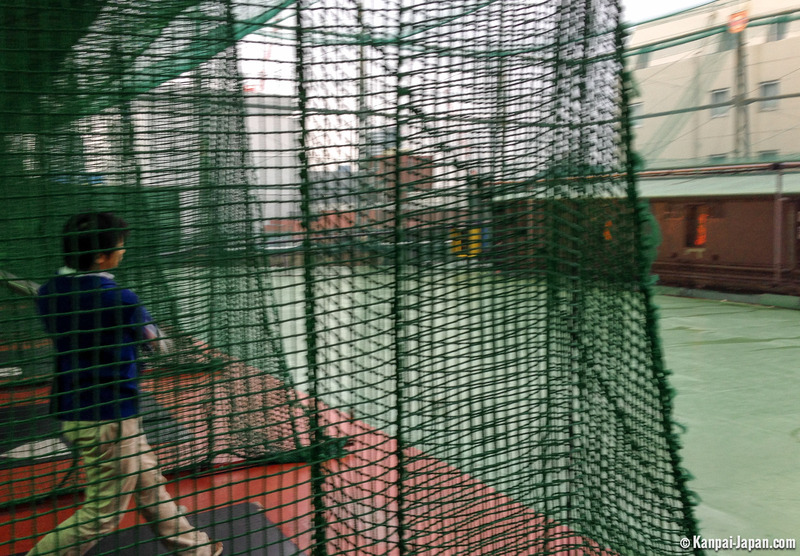 I got to try quite a unique experience in Tokyo, through one of these batting centers nestled on the Japanese capital roofs. They are quite a lot of buildings which offer this activity and I chose one close to Ikebukuro Station (which I detail below). 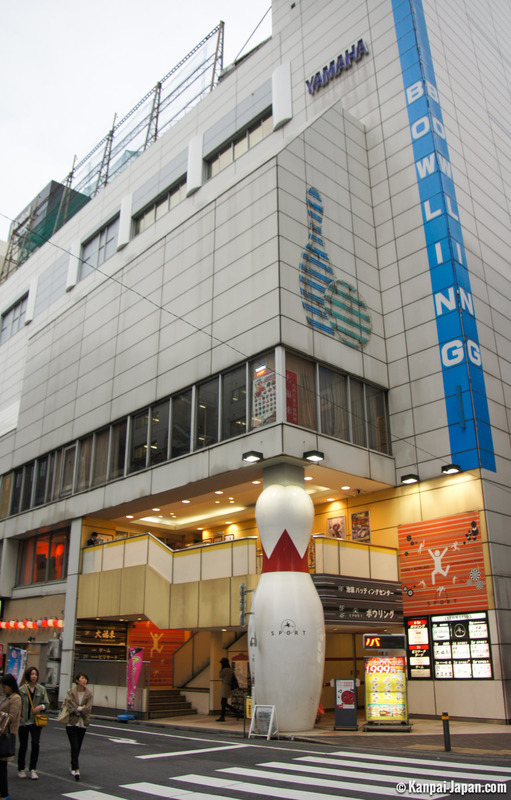 The building is hoisted on a half-dozen smoky floors dedicated to "game" in the broad sense as understood by the Japanese, such as bowling or karaoke. Upon exiting the elevator on the top floor, you arrive in a games room which contains all kinds of arcade video game and darts. All along are scattered boxes each accessible by a door leading to the outside. Ten individual boxes are available, one to throw and all the others to strike. Different receiving speeds are available, from 90 to 130 km/h, depending on your level. Once the desired box is free, you can walk through the door and chose a bat among models that differ notably in size and weight. Then insert ¥300 into the machine and then 20 balls are sent, each a few seconds apart, through a small window placed a few meters away. It's possible to adjust the height of launch on the machine according to your size. 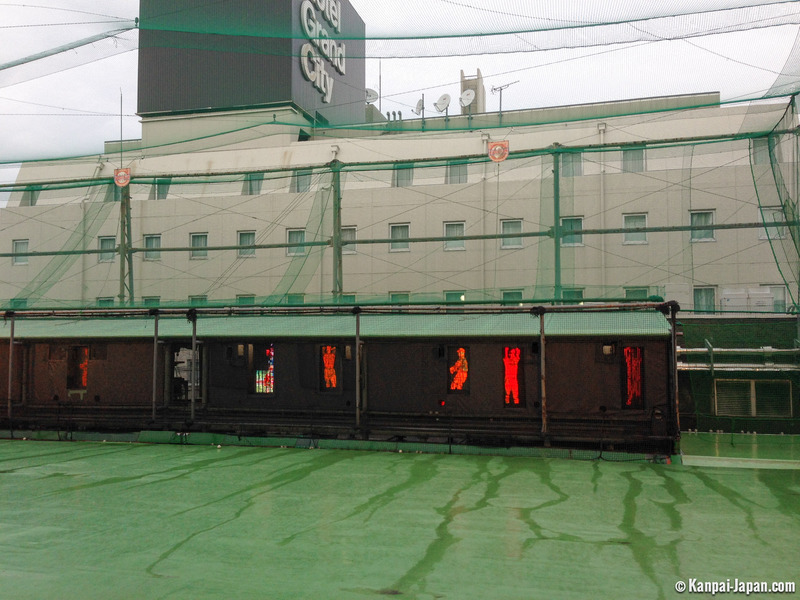 Of course the roof is guarded by nets to prevent balls from escaping in the streets. Experiencing a batting center is fast and fun, and especially pleases an audience of college or high school students, and young adults who come with friends or dates. Few western websites speak os these, yet it seems an easy and unusual thing to try out if you have some free time in Tokyo.